The cash-and-corruption-challenged government dangled the idea of reducing its 51 pct voting stake in Eletrobras, the electric utility. While that sent the shares soaring by half, investors need only recall Brasilia’s past stewardship at Petrobras and Vale to slow their samba. Brazil's state-led electricity-utility holding company Eletrobras CEO Wilson Ferreira Jr attends an economics and politics forum in Sao Paulo, Brazil, September 30, 2016. Brazil's surprise move to privatize Centrais Eletricas Brasileiras, or Eletrobras, sent the utility's shares soaring nearly 50 percent on Aug. 22 as investors bet the plan augured further moves to loosen the government's grip on the economy. 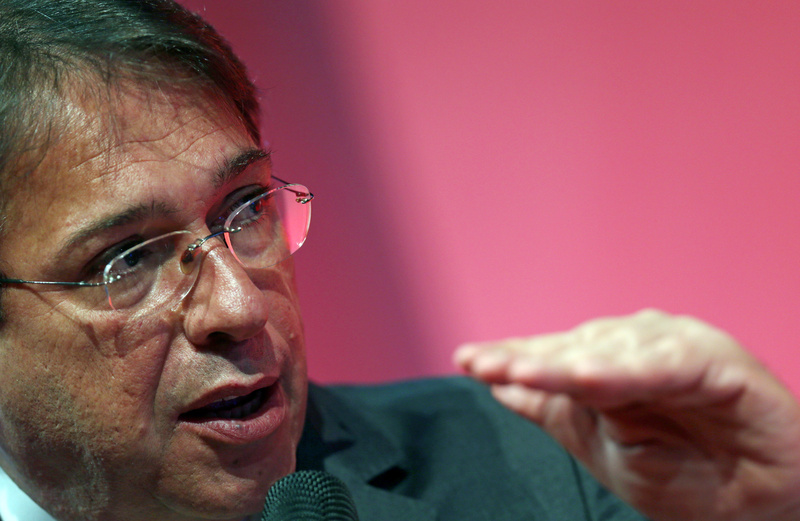 The transaction should be concluded by mid-2018 and could involve the sale of new stock to help replenish the capital of Eletrobras, Mines and Energy Minister Fernando Coelho Filho told Reuters. While the plan involves the end of federal government voting control at Eletrobras, it remains to be decided how much of its 51 percent voting stake will be sold and how, deputy Finance Minister Eduardo Guardia said. Proceeds should help cut the deficit, he said, noting the plan could also bring recurring revenue under certain conditions. President Michel Temer has rushed to sell state assets and shrink the size of Brazil's government before leaving office in December 2018. Investors cheered his efforts to reduce state meddling in an economy hobbled by a three-year recession, lifting the benchmark Bovespa stock index on Aug. 22 past 70,000 points for the first time in almost seven years.